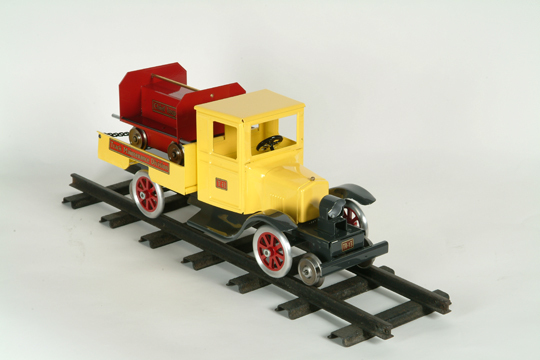 Here are some of the past train reproductions we have done here at T-Reproductions. These are no longer for sale. You can view more details and larger photos by clicking on the pictures. Contact us with your ideas and future production requests. 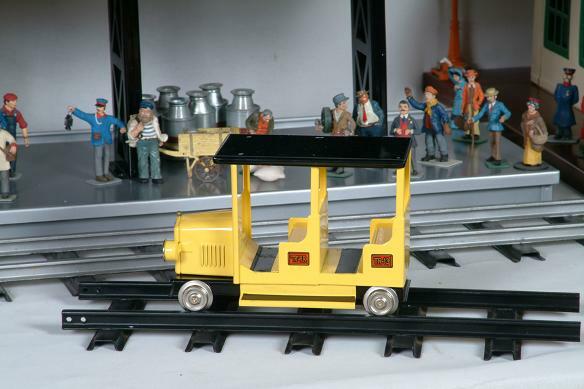 The Railway Detectives Doodle Bug was a one of a kind reproduction. Its production was limited to 12 models. If you are interested in seeing this production revived please contact us. The first diesel loco was made for the Jersey Central R.R in 1926 by General Electric and Alco. By chance, this was the first year for the 3-1/4” ga. 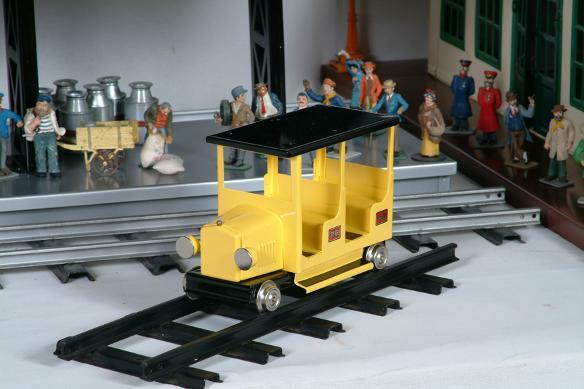 Trains that were sold in major department stores. 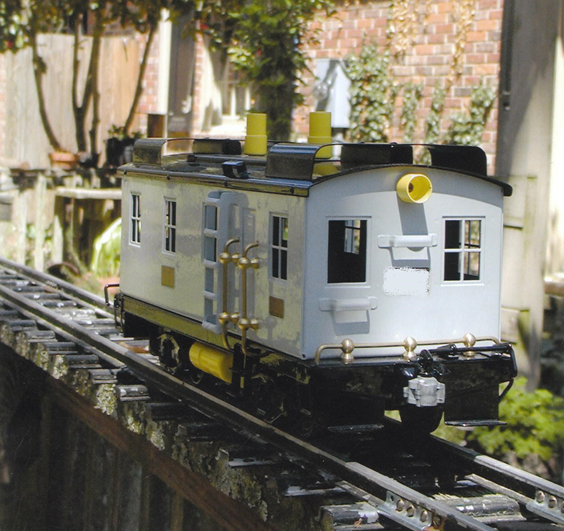 This picture of our model Is a very close copy of that first diesel. Length over couplers: 20”, Width: 6 1/8”, Height: 7-3/4”, Weight with motor: 25lbs, Weight without motor: 20lbs. This item was priced at $450. 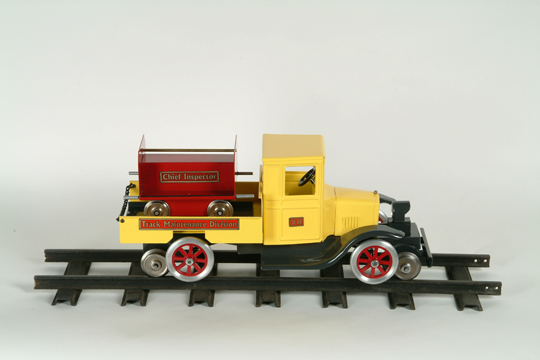 This model is 16″ length and weigh 6 1/2 lbs., and operates on the road as well as the rails. It runs on the standard 3 1/4″ ga. track. Naturally, the “Chief Inspectors” personal car operates on the same 3 1/4 ga. track. 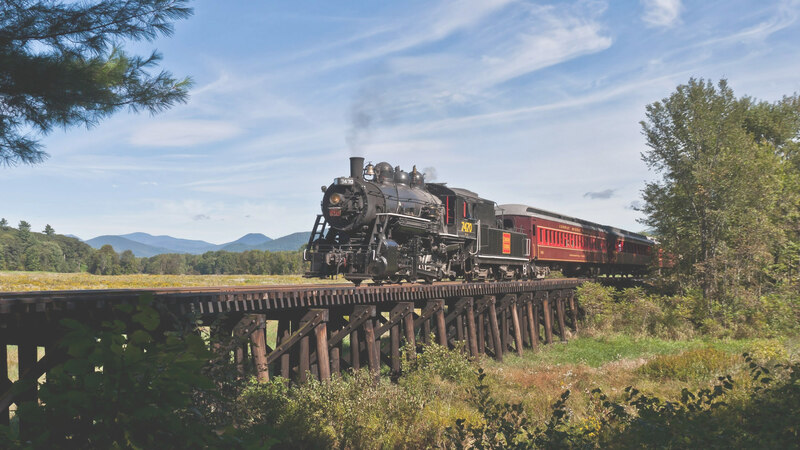 The railroad wheels are retractable and move up or down controlled by a hand lever. This is truly a collectors prize and limited to a production of 24 models.